In 1968, two music producers went to a Detroit dive called The Sewer to hear a Mexican-American protest singer with a small cult following. 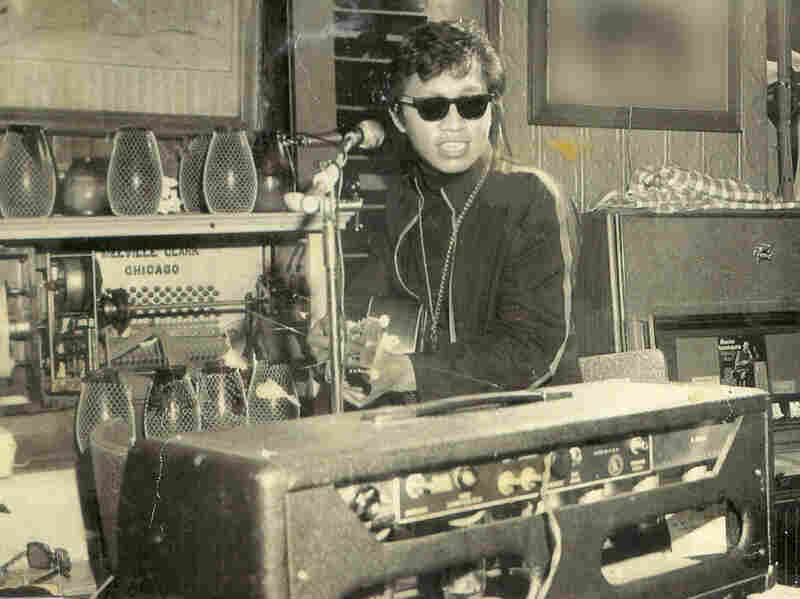 The producers' client list was mostly Motown, but they immediately signed Rodriguez (full name Sixto Rodriguez), whose stirring lyrics they hoped would speak to disenfranchised outsiders of all stripes and their champions. Together, they made two albums — one of which, Cold Fact, provides the soundtrack for the thrilling new documentary Searching for Sugar Man. At the time, though, Cold Fact sank without trace. Rodriguez vanished, but somehow a bootleg copy of the album found its way to South Africa, where it sold an estimated half-million copies and became an anthem for young Afrikaners in the blossoming anti-apartheid movement. Rumors spread, as they will in a vacuum, that the singer had shot himself in the head or set himself on fire onstage. The truth was less sensational but in the long run far more interesting, as Swedish filmmaker Malik Bendjelloul discovered when, in the late 1990s, he followed a trail blazed by a music journalist and the owner of a Cape Town record store as they tried to track down their idol. Bendjelloul is a natural dramatist with bags of visual flair. And though it's not clear how tortuous the quest to find Rodriguez really was, we fall in willingly with the quest as the director cuts excitable testimony from fans with romantically murky old footage of Rodriguez with thumbnail sketches of Detroit; there's much toggling between that fetchingly dirty old town by night and the much more scenic Cape Town by day, plus touches of lovely animation (possibly inspired by the Israeli film Waltz With Bashir). 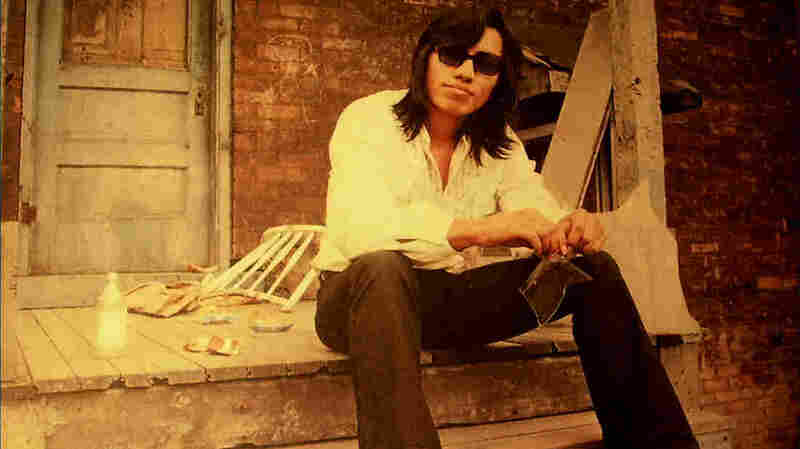 Rodriguez was discovered in a Detroit dive bar by producers who mostly worked with Motown artists but thought his lyrics would relate to the protesters of the times. Old photos show Rodriguez lounging with his guitar, charismatic in long black hair and shades. And then there's that pure voice, parked somewhere between Dylan and Donovan via Phil Ochs, plaintively pouring out the pain of the dispossessed. In fact Rodriguez was hiding in plain sight, living quietly in a decrepitly boho quarter of Detroit, working construction and cleaning up homes for renovation. According to his three daughters, Rodriguez was unaware of his fame in South Africa; his obliviousness, just credible in the late 1990s, would be impossible in the viral info-climate of today. Searching for Sugar Man wraps as a fairy tale, with heart-stopping footage of Rodriguez' first concert in post-apartheid South Africa, where he strolled onstage with relaxed charisma, played like an angel and signed autographs with grace. In interviews Rodriguez, now 70 years old but still magnetically rumpled, appears unruffled by the good fortune that has revived his career with a tour, a new CD of his early songs and even an upcoming date on Letterman. Who wouldn't wish such a happy ending on a man who, the movie reveals, never earned a cent in royalties for his work? Yet the movie's most potent emotional payoff is less Rodriguez's delayed success story — the fulfillment of many a frustrated rocker's fantasies — than the mysteries it leaves unsolved. True, it doesn't take much to decode the bluster of Clarence Avant, a former owner of Motown Records and also of the boutique label that released Rodriguez's two albums and guess at why the musician never got paid. But when Bendjelloul tries to get to the bottom of why Rodriguez's records failed in the United States when others of his kind achieved such success in the early 1970s, he comes up short. Why did his music fail in America and take off in South Africa, where, his fans claim, he's bigger than Elvis and the Rolling Stones? One question Bendjelloul doesn't ask is why Rodriguez's core fan base in South Africa is almost exclusively middle-class white Afrikaners, and not the black masses who had most to gain from his message? Nobody knows, including his bewildered American producers. "It's the music business — nothing is guaranteed," Rodriguez himself says calmly. There's no reason to doubt that he is, as the movie presents him, a humble man who got on with his life without a trace of bitterness. Yet between the lines we also learn that he is a complex man who never lost his ambitions. This son of a Mexican immigrant who toiled in the auto industry earned a degree in philosophy, ran unsuccessfully for city council and dreamed of becoming mayor of Detroit. So yes, the vagaries of the music business may have shafted Rodriguez, but so did the inexplicable uncertainties of life itself, the arbitrariness of fate and the way we all get tossed around the world, our fortunes set more by luck and chance than by planning.